With acres of rolling countryside and the newly added Woodland Trail, there’s a lot of time and hard work that goes into developing and nurturing our grounds to enable our wildlife to thrive. Hear from our ecology expert Matt Whittock on all his findings and how he spends his days supporting the growth of our wildlife programme. When did you start to become interested in ecology and nature? How do you plan what you’re working on each day? I became interested in nature at an early age, visiting nature reserves and observing the behaviours of birds and animals in their natural environment. When I left school and started greenkeeping I was able to watch nature on a daily basis and I was suddenly in a position where I could actually make improvements to the natural habitat to help certain species thrive. Since joining The Belfry about 10 years ago my love of nature and ecology has evolved, and now there are habitats all over the site that have improved over the years and are now home to many different kinds of wildlife. What are your main wildlife projects for this time of the year? The spring is a fantastic time of the year to watch nature make the most of any winter projects that have been carried out, such as nest boxes and improvements to wetland areas. It is also a good time to plant reeds and other aquatic plants in lakes and streams that will provide shelter and food for small invertebrates that will then also provide food for larger amphibious creatures and so on through the chain. Reeds and bulrushes also provide nesting opportunities for birds such as Reed Warblers. How does the number of golfers playing at The Belfry affect the ecology and nature surrounding and the work you do? 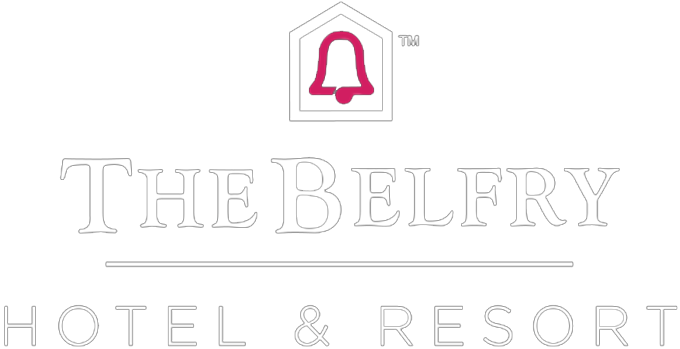 The Belfry obviously attracts many visitors which does affect the ecology greatly by putting off certain elusive species and also disturbing their habitat, however with careful planning and location of habitats we can achieve the best of both worlds. The Belfry has a large number of Skylarks that populate the PGA course and nest in the long rough this can cause issues for the birds with golfers walking in the long rough looking for balls, but if we locate a nest we do our best to rope the area off to help prevent any disturbance. What is your favourite part of the work you do? It’s amazing to work towards providing a home for nature and to see so many (red listed species) thriving out on the golf courses. It is amazing to work with Angus to produce 3 top quality golf courses that not only offer a fantastic golfing experience but are providing a much needed home for nature. Which golf course is home to the most wildlife? Why do you think that is? All 3 golf courses are totally different and attract a wide range of wildlife but the PGA National without doubt has the largest diversity of wildlife. This is because of its differing habitats from water courses and mature trees to wide open long rough areas. Just looking at the PGA course you can see it’s a very wild natural golf course. Although many golfers find our long rough difficult it is an important habitat for many birds and animals. In a world where areas of long grasses are disappearing places like the PGA National are a vital lifeline for nature. What was your most exciting discovery out on The Belfry golf courses? A little while ago I came across possible evidence of water voles on the site and since then we have worked closely with the RSPB to undertake water vole surveys (exciting times ahead). It’s always a great feeling to discover a new species on the site, it shows we are doing something right. How important is conservation and ecology for the golf courses? Conservation is vital as many species are now under threat so here at The Belfry we are showing how every golf course in the country can make a real difference, not only for habitat management but also reducing the use of chemicals and harmful substances and exploring more natural methods. Golf courses have always had a bad reputation for being harmful to the environment, but the times are changing and it is a really exciting time to be a golf course ecologist.